An red letter day in our school calendar is our Founder’s Day which falls on the 18 of August. This year too a special assembly was attended by members of the management, staff and students. 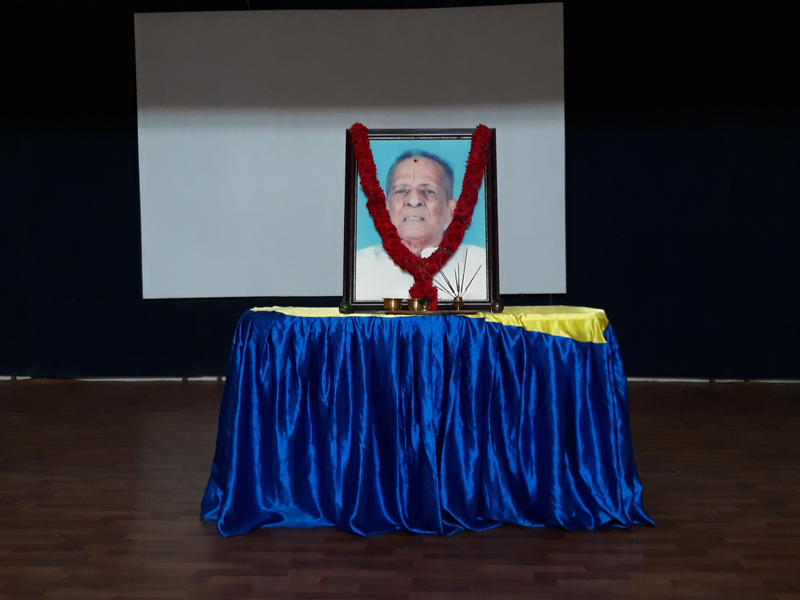 The crowd was addressed by Mrs. Lakshmi, Academic Co-ordinator and Mr. Ganesan from the Department of Tamil, reminiscing memories and paying respects to our founder, Mr. G. Ramaswamy Naidu. He was a true leader who believed in holistic education irrespective of status, caste or creed.